Sunnyvale, known as the high-tech city is one of the best cities in California to work, live and play. 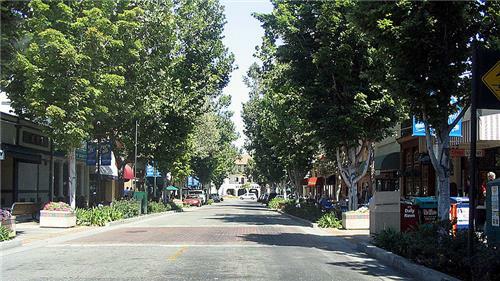 Offering an ideal mix of outdoor activities and attractions for every visitor, Sunnyvale has ample to see and do. But if you have only 24 hours in Sunnyvale and wondering how to explore everything the city has to offer, fret not! We’ve you covered. We’ve put together an itinerary guide for seeing all the best locations Sunnyvale has to offer while you are travelling to the city on a tight time schedule. 8:00am- Morning Walk/Stroll Amidst Greenery at Las Palmas Park! As you’ve just got a day in Sunnyvale, it’s better to start early. Start with a relaxing walk amidst nature at the Las Palmas Park. This park encompasses an area of 24-acres featuring tennis courts, kids play area, dog park area, water play area, multi-use fields, a huge pond, tables and chairs, and bathrooms. Breathe in the fresh air, take in the nature and relax yourself amidst the lush palm trees. Little one can play in the children’s play area or engage in water play area that includes many seasonal water features. Adults can enjoy a game of tennis or other outdoor sports here. Offering a wide choice of fun and activities, it is a perfect place to spend some time alone intro the tranquility or with family and friends. After refreshing your mind, soul and body at the park, it’s time to feed your belly. If you’re fond of something spicy and different, head to Madras Cafe, one of the most popular South Indian Veg restaurants in Sunnyvale that dish out the delicious and best vegetarian food. It is known for its dosas in the Bay Area, which is undoubtedly the best. The aroma and vibe wafting out of this cafe is wonderful. You can order anything from the menu, as everything is super delicious and you just can’t go wrong with anything here. So, if you want to taste or experience something that you have done never before, Madras Cafe is the place to be! It will fill you for the day ahead! Enjoy a refreshing cup of coffee with comfort food at K's Crepes & Cafe. The K's Crepes & Cafe offers a variety of creperie options that attracts patrons. It is a popular spot to have crepes. Dig into its delicious menu that is packed with breakfast food, omelets, crepes, soups, salads and sandwiches. Grab a seat on the patio, sink your teeth into breakfast fare and sip your joe. Everything available is delicious and satisfying without burning a hole in your wallet. 11:00am- Peruse the Mechanical Marvels at The Sands Mechanical Museum! Next, head to The Sands Mechanical Museum that features quirky time pieces, vintage coin-operated arcade games and nimble cars. The displays include coin operated machines like 1920s Confucius Say, Chicago Express which is a pre-flipper pinball, Knockout, an art deco pinball Ritz, and many more old pinball machines, a shooting game and arcade video games that will entertain you and keep you occupied. The nimble cars include Super Seven, Lotus Elise and Honda’s NSX. The time pieces include variety of antique pocket watches and several other pieces. If you are a fan of vintage games and pieces from past, then don’t miss this place! 12:00pm- Learn the lace making art at The Lace Museum! Pop into The Lace Museum that features the history of lace. In 1976, a small group of local women founded the Lace Museum. Later, in 1981, it was officially incorporated. The museum showcases the art and technique of lace making through shows, events and variety of exhibits. It features several hundreds of lace samples that have been donated by people, lace tools- contemporary and vintage, books and other materials that depict the lace history. The lace collection featured here dates back to the Renaissance period through today. It also has an impressive selection of wedding gowns dating back to the 1900s, cocktail dresses and non-traditional gowns. These gowns have beautiful lace work, detailing, designs and trends that will amaze and captivate you. Vintage sales and classes on lace making, tatting and knitting are held every year at the museum. For American food, pop into Habit Burger Grill (146 W El Camino Real) or Armadillo Willy’s (161 E El Camino Real). For Asian or Chinese cuisine, stop by PF Chang’s (390 W El Camino Real). Taste Middle Eastern food at Dishdash (190 S Murphy Ave). Stop by Tarragon (161 E El Camino Real) that serves Mediterranean and American cuisine, or Kabul Afghan Cuisine (351 W Washington Ave) that serves Afghani food. Craving for Mexican fare, step into Chipotle Mexican Grill (324 W El Camino Real). 2:00pm- Delve into local history at Sunnyvale Heritage Park Museum! Visit the Sunnyvale Heritage Park Museum that features the Silicon Valley and Sunnyvale history. From its early settlement to pioneering families to fruit industry to high-tech industry history and beyond, everything is showcased here through exhibits. It also features vintage furniture, antique radios, high-tech industry demos, mini-trains, artifacts and other memorabilia. The museum has been engaged into facilitating and educating the people on the historical front of Silicon Valley. There is an Orchard Heritage Park adjacent to the museum that has vintage farm equipments, an apricot orchard spanning 10 acres, and several interpretive displays. This spot also has a gift shop where you can shop for antiques, gift items and souvenirs. 3:00pm- Uncover the beauty of nature and engage in outdoor fun at Braly Park! After a history session, head to Braly Park, which is a beautiful respite from the hustle and bustle of the city life. It is a Japanese design park features horseshoe pits, children’s play area, shuffle board, lighted tennis courts, water play area with timer, sand volleyball court, chairs and tables, BBQ places, picnic area, and restrooms. The children’s play area includes sandbox, swings, slides and bridges. You can relax, take a stroll amidst nature and engage in outdoor games and water activities. It is a perfect place to enjoy with family. Both adults and kids have something to enjoy here! Head to Cherry Orchard Shopping Center and indulge in some retail therapy. It is an open-air center consisting of entertainment, dining and retail on offer. Apparel, health & beauty, footwear, electronics, jewelry, home furnishings and decor, sporting goods and almost everything is up for grabs here. Every possible item you want is available here! Indulge in some more retail therapy at the Hacienda Shopping Center that has a supermarket and retail stores like Safeway, Weight Watchers and Rite Aid, to name a few. Apparels, health & beauty, cosmetics and groceries, every possible thing you are looking out for is available at this shopping center. 7:00pm- Brew at Faultline Brewing Company! Faultline Brewing Company is a local gem serving house-brewed beers and pub grub in an industrial-chic setting that is perfect for drinks with pals. There’s a great variety of brews to choose from, along with grub to nibble on. It is the place where you can enjoy a pint of ale on the outdoor patio, live music or sports on TV, and perhaps some friendly conversation, as well. It also has private space to host any event or occasion. Munch on Thai or Asian cuisine at Merit Vegetarian Restaurant (548 Lawrence Expy). Sink your teeth into succulent barbecue and American food at St. John’s Bar & Grill (510 Lawrence Expy Ste 110). Sample Middle Eastern cuisine at Falafel Bite Mediterranean Restaurant (500 Lawrence Expy Ste C). Hankering for delicious pizza and other Italian delights, step into Tomatina (3127 Mission College Blvd). Enjoy Indian food at Madhuban Indian Cuisine (544 Lawrence Expy). 10:00pm- Immerse in High-Tech City Nightlife! Head to Bogart's Lounge & Tech Pub for a night of drinks, sports on TVs, karaoke and a lively crowd thrown in for a good measure. Pool tables, TVs, trivia nights and myriad of other fun options are available ensuring that everyone has a great time. Energetic vibe, a good drink menu and gracious bar staff make this pub a fave for patrons who want to unwind after a long day. Whether you’re looking to sing, play, listen or watch, this spot has something for y’all! In mood to dance and sip on tantalizing drinks while grooving, head to Club Monaco. This club is known for its state-of-the-art sound system, spacious dance floor, music that spans across different genres, and shows that are held year-round. Have a gala night of drinking and dancing at this club!